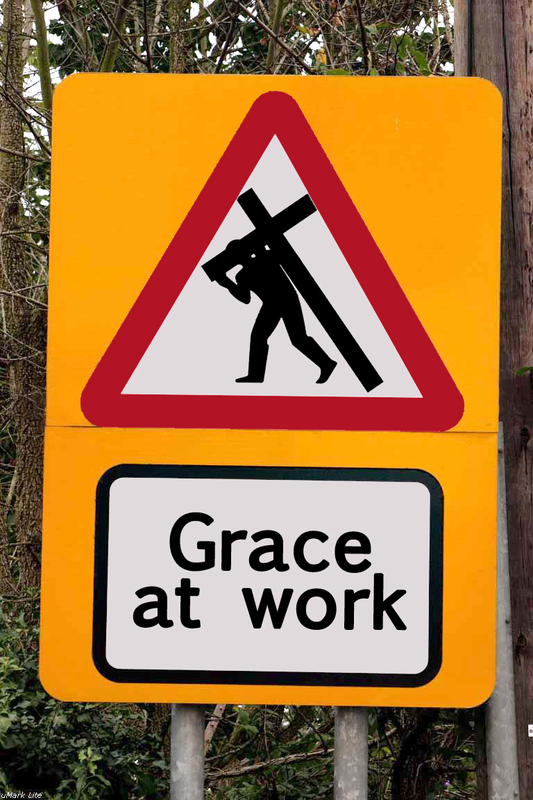 Over the last few weeks the hubster has been doing a sermon series at church entitled ‘Grace at Work’. It’s a walk through Ephesians in which grace is a prominent theme. The apostle Paul was nearing the end of his ministry. He had spent years travelling throughout the Roman Empire, sharing the gospel message and teaching new believers. God had done some amazing work through him, but his journey had been far from easy. Some people had gladly accepted the message he was sharing, but others had fiercely opposed him. He had faced angry mobs, serious violence, backlash from the Jewish authorities, and had been arrested on false charges. He had then been tried, transferred, retried, retransferred, shipwrecked and was now imprisoned in Rome awaiting an audience with Cesar himself. A ministry like this would crush many people’s spirit and leave them drained and discouraged; but not Paul. It was in this situation, at this point in his life that he decided to write to some of the Christians he was no longer able to visit. He had no specific issues that he needed to address as he had in many of his other letters, he simply wanted to write to encourage them and give them some general teaching on Christian living. After all that he had been through, Paul could have been jaded by his experiences, but instead he could not contain his enthusiasm. Paul had seen God’s hand at work in all situations and his experiences and God’s revelation in his life had shown him all the riches that God has made available to those who put their trust in him. Throughout the letter which was written for the Ephesians, we encounter passages of soaring praise, heartfelt prayer, inspiring encouragement and incredible teaching. Paul shows us how God has revealed his eternal plan to us, has given us a rich inheritance in him, has brought us into unity with Christ and all other believers across the world and how we, as Christians, should live our lives as a result of all of this. But what we will see again and again is the evidence of God’s grace. In all aspects of his plan throughout history, in all that he has done in redeeming and forgiving us through the life, death and resurrection of Christ, in giving us the Holy Spirit as a guarantee of our future inheritance and within every situation of our lives day by day, God’s grace is, and has always been, at work. 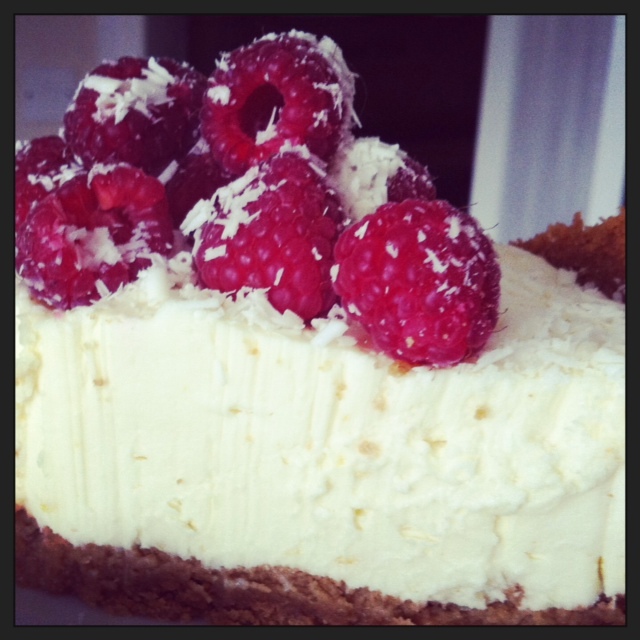 I don’t know about you, but I find cheesecakes either tend to be sublimely good or categorically bad. For me it’s all to do with texture. I love a baked cheesecake, but don’t always have the time to bake it and let it cool slowly in the oven to avoid cracking, but I can’t stand sloppy fillings which is why I have tended to avoid non-baked ones…until now. My Aunt shared this recipe with me and although sceptical at first, it has become my go-to dinner party dessert. Elegant, beautiful and above all delicious. Ginger biscuits and melted butter for the base. 2/3 lemons – zest + juice to taste. Make the biscuit base and press into a greased springform tin and place in the fridge to chill while you make the filling. I’ve never really bothered with quantities for a biscuit base, you just need to make sure you’ve put enough melted butter in there to stick the crumbs together. Mix the cheese, condensed milk and cream together using an electric mixer/whisk – don’t over do it, they just need to be combined. It will look sloppy but fear not. Add the lemon juice and zest and watch it magically thicken up. It’s important that you add enough lemon to cut through the richness of the cheese and cream otherwise it’ll be too rich. Spread over the base and chill in the fridge until serving. 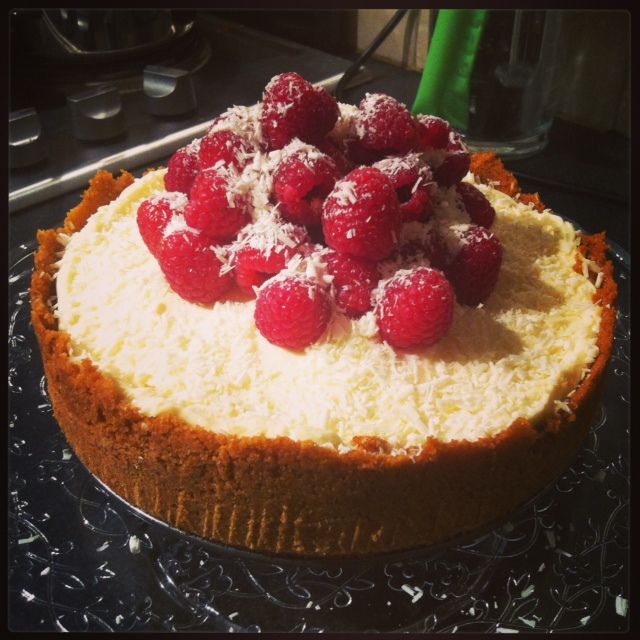 When ready to serve pile up some fresh raspberries and grate over some white chocolate. Enjoy! These freeze really well. Just add the fruit once thawed and serve. A non-baked cheesecake that actually holds its form! Occasionally I come across something that makes my heart ache, saddens me beyond comprehension and stirs something inside me to help make a difference. Russal and Kumari’s testimony did just that. Based in Chennai, India, this inspirational couple set up a charity to help save baby girls from being murdered by their own families simply for being girls. Parents to 11 beautiful girls, Russal and Kumari not only provide a home and family for these baby girls, but also run an awareness program to re-educate local villages, and as a result this practice of killing babies has fallen by 70%. I urge you to cover them in prayer, and support them in mission in any way you can. This has to stop. Check out their website but please be aware it does contain some extremely upsetting images.